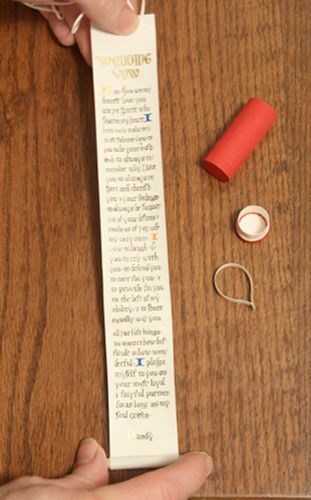 This delicate scroll is a copy of wedding vows on goatskin parchment with genuine raised gold leaf. There is a small velour paper covered slip, and a box to contain the roll. The box is covered in very thin leather.